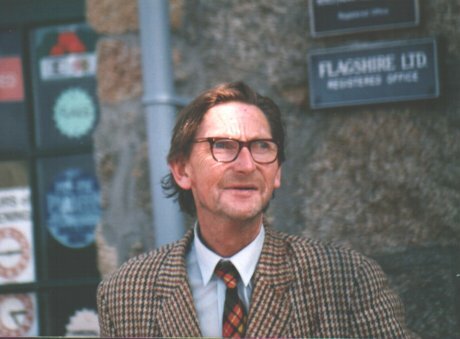 'Gordon Pender' Scilly's best known window cleaner hangs up his buckets after 50 years of public service. 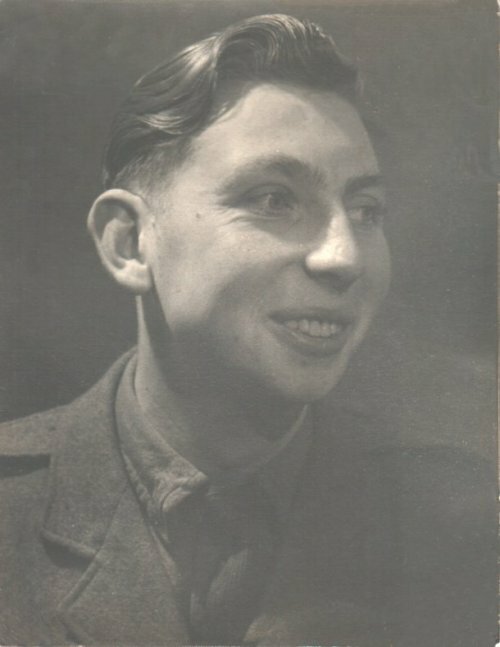 This is Gordie when he was 18 years of age, having just joined the Army. click on thumbnails for enlarged photo. 'Gordie', as he is best known, announced his retirement from window cleaning after an amazing 50 years in the business. He started when he was 15 yrs old and apart from a 3 year stint on National Service in the Army, continued his trade until the end of March 2002. "I wanted to do the 50 before laying up the chamois" he told me. Gordie was born in 'Nowhere', Old Town in 1934. On joining up he was once asked, "Where do you come from?" When he replied, "Nowhere!" he was stretched across a table by the scruff of his neck and told, "I've sorted out much cleverer b******s than you laddie!" While serving Queen and Country, Gordie met his teenage bride, Harriet. They are still together after 50 years of marriage. 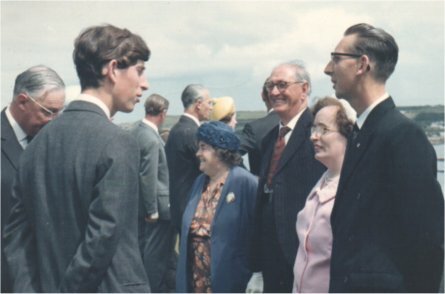 Gordon & Harriet being introduced to Prince Charles in 1965 whilst working for the 'Duchy'. 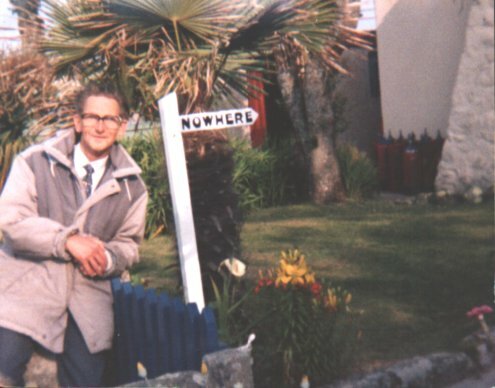 Outside 'Nowhere' the place of his birth! Always game for a laugh, he has often been able to bring a smile to people's faces on a Saturday night at the 'Scillonian Club' with his impromptu dance steps. During the filming of 'When the Whales Came' in 1988/89 he was employed as an 'extra' and couldn't resist playing the clown to his fellow thespians. Below: As most people recognize him. Probably the best dressed window cleaner in the Country, Gordie always wore a tie to work, even in summer. 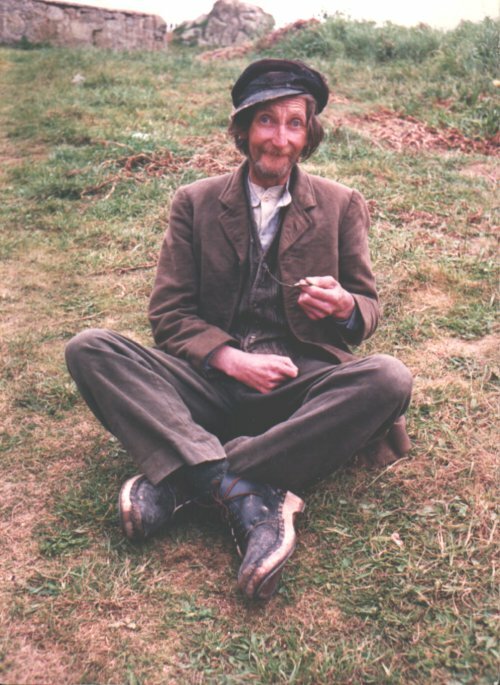 He is well known to visitors and locals alike and will be missed carrying his ladders and bucket through Hugh Town. His son, David is taking on the business so at least it will stay in the family. Good Luck to both of them !